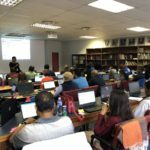 Along with being a place where Angelique van Rensburg can share her original papers, findings and thoughts with the public, this site serves as a collection point of interesting articles and blogs found across the internet. The content, in most cases, was written by other authors, unless indicated otherwise. Great care is taken to accurately and clearly reference and credit the original author of every post, with backlinks, and in most cases, permission has been obtained from said author. If you should find some of your own work on this site and you are uncomfortable with the way it has been credited or posted, please contact me directly on angelique@angeliquevanrensburg.com for prompt amendments or to have it taken down.